Sitting on a secluded enclave, this fabulous resort is part of the elite adults-only, all-inclusive Grand Collection. Enjoy your suite, the golf course, beach and international cuisine during your unforgettable stay. Once upon a time there was an idyllic spot on the Caribbean island known as Jamaica: the cradle of reggae, exuberance, and passion. In a secluded enclave close to Montego Bay, sits the Grand Rose Hall, a fabulous Resort and Spa belonging to Iberostar’s elite adult-only, all-inclusive Grand Iberostar Resorts. Whether from your suite, the golf course, the beach, or while savoring exquisite international cuisines, you are sure to write some of the most memorable pages of your life. Magic, synonymous with this “hotel of hotels” is the sensation that envelops you as soon as you step foot on the complex where preferred service, elegance, and luxury exemplify days of work, sports, tourism, celebration, or simply stated...perfect tropical days. World-class meals await Iberostar Grand Rose Hall diners. The finest Montego Bay restaurant and bar options are on the grounds of the beautiful Grand Rose Hall—including 5 specialty restaurant options, 2 buffets, and 6 bars. In the mood for something quick and casual? Have a bite near the pool. Hungry travelers can experience a diverse array of all the Jamaican fare Montego Bay has to offer. Find yourself on a gastronomic getaway with fine dining options from Japan, Italy, and the Mediterranean. Buffets and a la carte options are also available. The Grand Rose Hall has fine dining and casual options to suit the mood and palate of every guest, at every meal. It’s always cocktail hour at the bars of Grand Rose Hall. Enjoy drinks poolside, in the theatre, and in the hotel lobby. Feel like a cozier nightcap? It’s always possible to take drinks back to the room. Guests will find whatever they please among the Montego Bay restaurant options at the Grand Rose Hall. Experience traditional Japanese dishes and décor and indulge in ocean-fresh sushi. Grilled dishes and slowly simmered, non-traditional delights are also available. Perfect, fluffy white rice is always included. Resort evening attire required: collared shirts are mandatory for gentlemen; Long trousers are preferred, but Bermuda shorts are acceptable. A la carte never looked—or tasted—this good. Enjoy gourmet cuisines from around the world, right in Montego Bay. There’s something for every eater—from adventurers to choosy diners. This a la carte surf-and-turf features a homey, wholesome quality everyone can enjoy in a classic American steak house setting. Sample choice meats, fresh fish, and bright, colorful veggie dishes. Start off with one of several tempting starter courses. Explore each region of Italy in this Mediterranean-inspired restaurant setting. Pizza and pasta abound, but there are classic, authentic Italian options for everyone. Mangia! A la carte, island style—with a gorgeous ocean view. Look no further than this Montego Bay restaurant for authentic, exotic Jamaican flavors and cuisines and island soul. When looking for a quick snack this buffet styled eatery will tempt every palate. Dinner Dress Code: Resort evening attire required: collared shirts are mandatory for gentlemen; Long trousers are preferred, but Bermuda shorts are acceptable. Snack Dress Code: Casual dress is welcome, but sleeves are required. Reservations required only for dinner. A sumptuous-though-casual spread unlike other Montego Bay restaurants, the Cornwall buffet is open for breakfast, lunch, and dinner. Start the day with a quick plate of fruit and a cup of coffee, or come in from an afternoon of adventuring for something substantial. Dress Code:Casual dress is welcome, but sleeves are required. The suites of the Grand Rose Hall are island paradise realized indoors. Every detail has been considered in each of the resort’s Grand Suites—right down to the pillows, which can be chosen nightly from the pillow menu. Cinematic sea and garden views are available from 189 of the Grand Rose Hall’s rooms, while 104 rooms boast direct beach access. The exclusive Presidential Suites—of which there are only 2—are the pinnacle of 5-star luxury. Each Presidential Suite includes marble baths with hydromassage fixtures; entertainment centers that include satellite TV, a DVD player, and MP3 player-docking capabilities; a coffeemaker; and high-speed internet access for quick connection to the outside world—but who would want to interrupt paradise? The Superior Suite flaunts 691 sq. ft. of space along with preferred location, close to the pool and Montego Bay’s beautiful beach. A stay at Iberostar Grand Hotel Rose Hall means all-inclusive access to attentive services such as a butler, the concierge, 24-hour room service, a pillow menu along with nightly turndown, aromatherapy, and even a customizable minibar. A luxurious marble bathroom with double vanity sinks, a shower, and a separate whirlpool tub will create a spa-like experience right in your room. Access the wet areas located in SPA Sensations for focused well-being. When the sun has disappeared, cozy up in a fluffy bathroom and gaze out into the tranquil gardens from your balcony. Along with being outfitted in stylish, traditional Caribbean furnishings and decor, this room is enhanced with top of the line amenities such as; a flat screen TV, alarm clock, docking station, DVD and CD player, digital safe, coffee maker, iron and ironing board, coffee maker, and hairdryer. The Ocean-View Suites at the Grand Rose Hall offer unparalleled views of the island paradise of Jamaica and 5-star European luxury. A private balcony with an ocean view is part of the Jamaican vacation dream. This dream is realized in the impeccably decorated comfort of the Ocean-View Suites at the Iberostar Grand Rose Hall. Spend sunny afternoons gazing at the bright blue horizon on a private porch swing, sipping a cool drink from a personally chosen array of minibar refreshments. Regardless of what guests hope to experience, they will find everything they desire from a luxurious hotel suite: marble bathrooms, 24-hour room service, European linens, a pillow menu, and nightly turn-down service. Butler and concierge access further ensure every need is met. The ocean is the star of the show at the Montego Bay Ocean-View Suites of the Iberostar Grand Rose Hall. Fall in love with Superior Ocean View Suite for its stunning views of the Caribbean water and prime location to the pool and beach. Traditional Caribbean furnishings meet modern amenities in this spacious 691 ft. sq. suite for a luxurious and comfortable stay in Jamaica. In your room find all the electronics that make every day a breeze. There will be a flat-screen TV, docking station, alarm clock, DVD and CD player, digital safe, coffee maker, ironing tools, hair dryers, a customizable minibar, and fluffy bathrobes with slippers. For all other needs turn to our attentive staff focused on serving your needs. Our concierge, butler, nightly turndowns, and 24-hour room services are catered to give you the perfect experience at Iberostar Grand Hotel Rose Hall. Impressive marble bathrooms with vanity sinks, separate shower, and whirlpool tub. Discover tranquility in our SPA Sensations wet areas with complimentary access. An opulent getaway filled with authentic care and rich experiences awaits. This spectacular enclave includes it’s very own pool and in-suite deck in for those who prefer a little more privacy in Montego Bay. Wake to the beautiful Jamaican sun pouring through the windows of your private balcony and reflecting off your pool. Take a quick dip before you start your day, or enjoy a moon-lit swim before a night’s rest. Rely on a dedicated staff from concierge to butler service and 24-hour room service to make sure every detail of your stay is perfect. Along with specialized attention, modern in-room amenities are there to make every day a breeze. Find a Smart HDTV, alarm clock, docking station, DVD and CD player, digital safe, coffee maker, ironing and ironing board, a hairdryer, sun loungers, a customizable minibar, and bathrobes and slippers. Discover a separate whirlpool tub in the expansive marble bathroom, perfect for winding down. Add in our turndown service with aromatherapy and smooth European linens, and you have the perfect recipe for a restful night. Guests are also invited to browse the pillow menu and choose from an array of pillows to match their sleeping style. Such an enchanting suite isn’t complete without a complimentary romantic dinner in suite and flowers. For added relaxation all-inclusive access to the SPA Sensations wet area is included along with a 20% discount on massage services. The Star Prestige Ocean Front Suite is the perfect combination of absolute luxury and exclusive experiences. Relish is 691 sq. ft. of carefully curated furnishings that provide a true escape. Open the doors to a new world and experience a range of unforgettable moments. It begins to unfold as soon as you arrive with private check-in, unpacking services, and a bottle of champagne to welcome you. You’ll find yourself quickly settling into an elegant room with a captivating ocean view from the private balcony. All the electronics from a flat-screen TV to a coffee machine are included with your room. Our detail focused hotel staff is eager to help realize your vacation dreams. Rely on concierge, butler service, and 24-hour room service for all of your needs. When you are ready to receive a nightly turn-down service with aromatherapy to help set the mood for a restful sleep. During the day make your way to SPA Sensations for complimentary access to the wet areas. With Star Prestige enjoy from private installations, including a secluded beach area containing Balinese beds, sun loungers, a premium music system, and fun social events to attend. The Presidential Suite at Iberostar Grand Rose Hall is the embodiment of pure luxury. Truly designed for guests who want an all-inclusive getaway unlike any other. A stunning wrap-around terrace overlooking the bright blue water complete with a whirlpool tub might convince you to stay longer than initially planned. Enjoy your stay with 1,985 sq. ft. featuring an oversized bedroom, large living room, and a separate dining room and kitchenette. All of your needs will be surpassed with the detailed attention of Grand Star Service. From a customizable mini bar to a smart HDTV entertainment center, your amenities will be top of the line. For anything else, your personal butler our concierge team, and 24-hour room service are ready to fulfill your needs. At the end of the day, guests can enjoy turndown service with aromatherapy, or relax in a bath with hydromassage jets. Tuck in at night with luxe European linens and customizable picks from the pillow menu—so comfortable and inviting, leaving the Presidential Suite might not be in the cards the following morning. Along with complimentary access to SPA Sensation wet areas receive one 20-minute massage per person, per stay and a 20% discount on additional massage services. Relax and recharge in luxurious island style in a perfect Montego Bay suite. Rise each morning to unparalleled views of stunning Montego Bay. The Presidential Suite is just the beginning of the luxuries that the Grand Rose Hall and Montego Bay have to offer. Featuring 691 sq. ft of beachside luxury and tranquil garden views from a private balcony, this Suite will set the bar high for any future getaways. Amenities are customizable to each individual guests’ needs, from our pillow menu to the in-room mini bar, pick your favorites and they will be refreshed daily. Offering a room stocked with all the necessary amenities such as; a flat-screen TV, alarm clock, docking station, DVD and CD player, digital safe, coffee maker, iron and ironing board, hairdryer, bathrobes and slippers, and complimentary WiFi. For anything else you may need, a butler, concierge, and 24-hour gourmet room service are there to fulfill your wishes. A beautiful marble bathroom with double vanity sinks, shower and a separate whirlpool tub perfect for soothing baths, will be the ideal way to end your day. Nightly turndown service with aromatherapy will help you settle into fine European linens for a peaceful rest. For added enjoyment, your stay includes complimentary access to SPA Sensations wet areas. Iberostar Grand Hotel Rose Hall, turning even your necessities into blissful luxuries. Dedicated on site wedding coordinator, during the stay. Wooden pergola with crystal curtain and chandelier. Two pedestal or column aisle markers with natural flowers. Elegant white bouquet and matching groom’s boutonniere. Sound system and CD player for the ceremony. Live soloist for ceremony (violinist, pianist or saxophonist). Cocktail hour post ceremony with a premium bar and a variety of three cold appetizers. Private wedding dinner (buffet or plated). Tall centerpiece with natural flowers and luxury tablecloth for dinner tables (up to 30 guests). Pressing of the bride’s wedding dress and groom’s suit. Sparkling wine in the room for the bride on the wedding day. Upgrade to the next category of room for the bride and groom (subject to availability, Presidential Suite is available for an extra cost). Special turndown service on the wedding day. 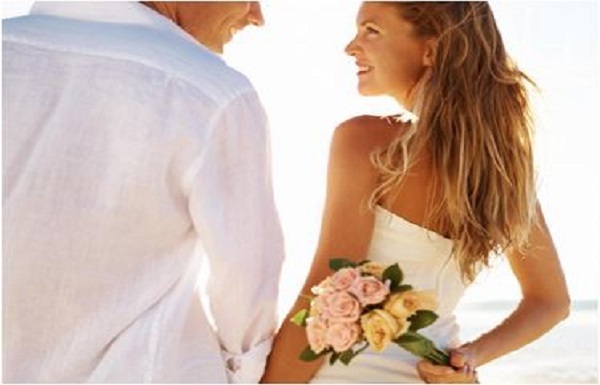 Exclusive use of the Star Prestige beach club for the wedding couple. Please see your Destination Wedding Specialist for more details. Set up of wedding venue with arch or bamboo canopy. Traditional white frosting cake decorated with fresh flowers, for 2 persons. Special turndown service with Sparkling wine and chocolate covered strawberries the evening of the ceremony. "Arch or bamboo canopy draped with white sheer fabrics, chairs with white covers and tie backs complemented by a white or red aisle runner." Bride's fresh floral bouquet and matching groom’s boutonnière. Mimosa and Bloody Mary toast after the ceremony. Wedding brunch buffet for 1.5 hours, starting at 11 a.m. or 12 noon. Natural bamboo canopy for ceremony, bamboo chairs, tropical greenery and aisle markers to complement location. Tropical, fresh, floral bouquet and matching groom’s boutonnière. Tropical floral centerpiece for the head wedding table during the ceremony. Cocktail hour, Jamaican themed with fresh coconuts, Red Stripe Beer, rum punch, signature drink and selection of three Jamaican appetizers. Traditional, white-frosted Jamaican Fruit Cake decorated with fresh flowers. Bride's fresh floral bouquet and matching groom’s boutonniere. 30-minute couple’s massage with Sparkling wine service. Rental of private venue for 3 hours (11 a.m. to 2 p.m. or 12 noon to 3 p.m.) for brunch and reception. Private Jamaican BBQ Buffet Dinner with National Open Bar. *Upgrades are based on availability at check in upon arrival at the hotel. Upgrades are not combinable with standard group amenities for double upgrade. Upgrades apply to select room categories. ***Complimentary cocktail party can be added to existing cocktail party included in select wedding packages. ****Complimentary room is a monetary refund at the time of travel not including hotel taxes, fees, and transfers. The value is based on the room category booked by majority of the group for the least amount of nights. A surcharge may apply dependent on time of travel which will reduce the value of the credit. 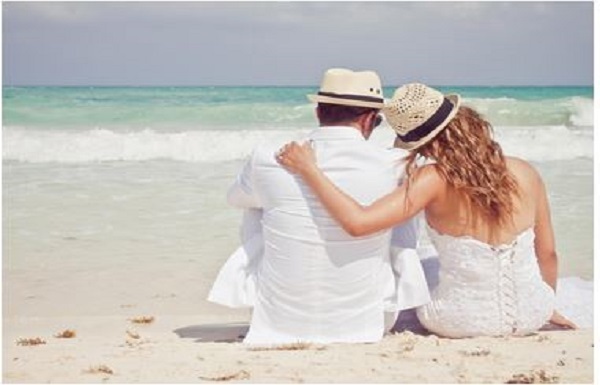 Booking and Travel dates apply – please contact your Certified Destination Wedding Specialist for additional information.